How to change the status of an employee returning from leave. Your employee has been away from work for a while on leave and it's finally time for them to return to work! How do you get this to reflect in Collage? It's easy! Just follow this simple steps! 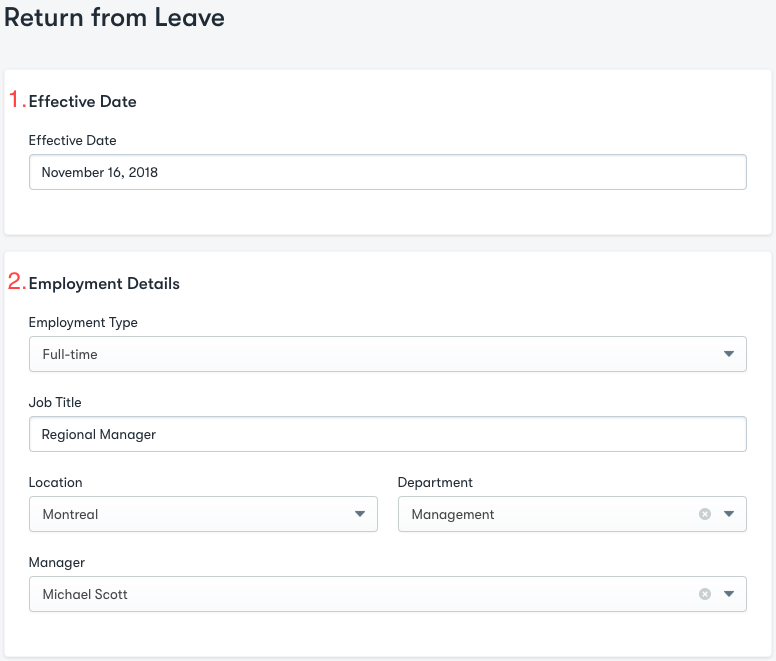 To change an employees leave status you must first navigate to the job tab within the employees profile. Then click the Update drop down button. This will give you a drop down menu with all of the updates you can make to the employee. Click Return from Leave. Once you have have selected Return from Leave you will be brought to a page where you will be asked for more details. Most of these fields will already be filled out with the correct information. Effective date: This where you will input the date the employee will be returning to work. This will be automatically set to the day the change is being made, but can be changed. Employment details: You should only change information here if the employee is returning to work with a different position or if any of their employment details have changed. 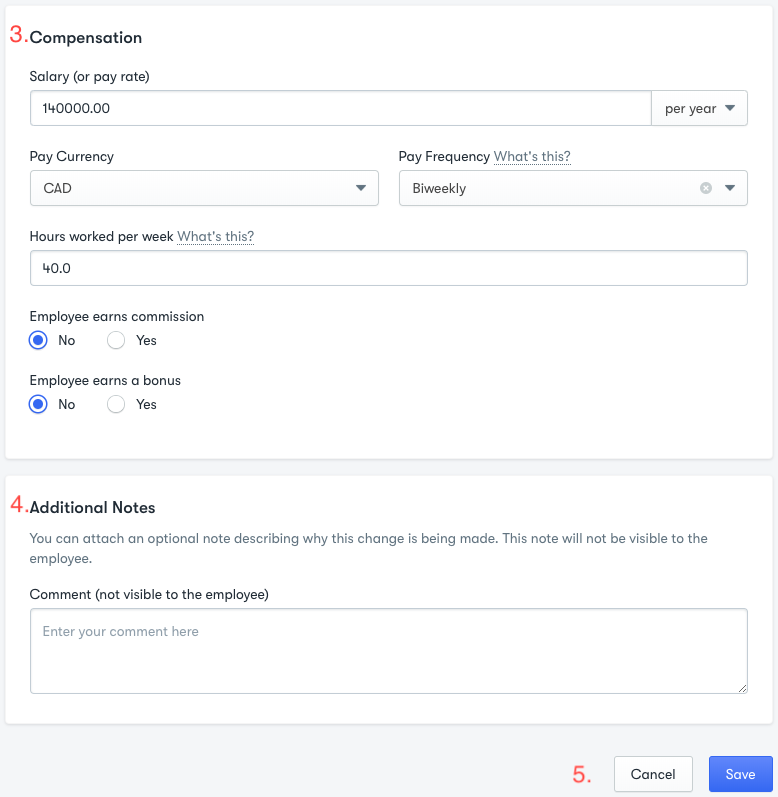 Compensation: Here you can change any details regarding what an employee is paid, and when. Additional Notes: Here is where you can put details about the employees return. You can include details such as why they are coming back, why changes were made to any of the above sections, or anything that you would like! Save: When everything is entered correctly and ready to go it's time to click save. That's it! 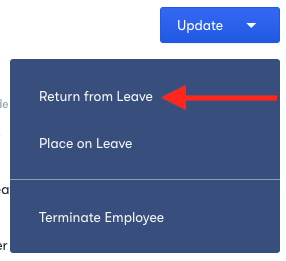 When you go back to the employees page you should no longer see them with on leave status. If you have any issues please reach out to our support team at Support@collage.co or through the live chat on your page.